With a warm welcome from Cornwall Space UK, Flann nygoodhealth.com Microwave Limited participated at the Washington Satellite Show on booth 2337 at the Walter E Convention Centre with Aerospace Cornwall and Goonhilly Earth Station. 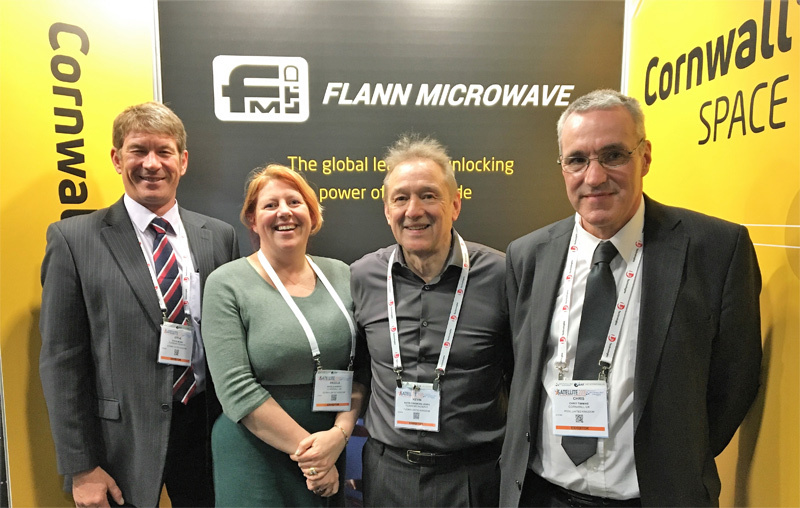 Pictured above is the Flann Microwave Limited team, Steve Mobbs International Sales Manager, Angela Harvey Head of Finance and Operations, Kevin Fenemore-Jones International Sales and Christopher Timmins Head of Engineering and Production at the Washington Satellite Show with Spaceport Cornwall. If you have a query don't hesitate to contact us.